AutoCanada is growing its Ottawa platform with the purchase of 417 Nissan and 417 Infiniti in Ottawa. Jean Malouin, AutoCanada's partner in Hunt Club Nissan (Ottawa) and Barrhaven Nissan Open Point, will oversee the operations of the dealerships as dealer principal with a 10 per cent ownership interest. The stores currently operate out of a shared 28,000 square foot leased facility with a 14-car showroom and 15 service bays. 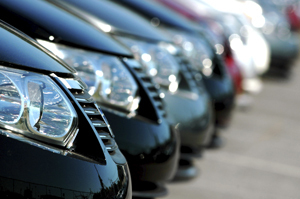 In 2014, the dealerships retailed 727 new vehicles and 180 used vehicles. AutoCanada says the plan is to relocate 417 Infiniti to a standalone leased facility adjacent to 417 Nissan. The new facility will be built in accordance with Infiniti Retail Environment Design Initiative (IREDI) standards. The relocation is expected to occur by the end of 2016. “We are very pleased to welcome the 417 Nissan and 417 Infiniti family into our new Ottawa platform and look forward to building upon their successes together with Mr. Malouin and Nissan Canada,” AutoCanada chief Tom Orysiuk said in a statement. It has been a busy autumn for the publically traded dealership group as a flurry of recent activity has seen six stores added since the end of August. The company had previously stated it was looking for opportunities in eastern Ontario and has followed suit with this acquisition and the October purchase of Hunt Club Nissan and the Barrhaven open point.